Purplemet Security provides you an efficient and fast way to detect technologies used on web application as well their versions. 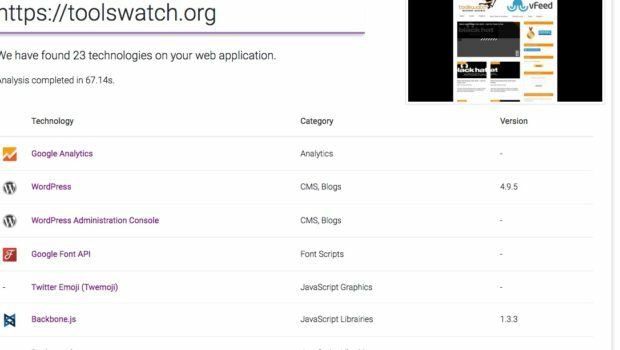 Purplemet technology detection always analyzes your web application in real-time to give you an up-to-date status. The detectors are updated every day to provide you the most accurate results in terms of technologies and version. The smart engine obviously detects visible but also deep embedded in web application technologies with weak signals. It comes as well with an easy and undocumentation feature: API request. POST https://www.purplemet.com/api/analysis with the parameter “url”. It returns an id. 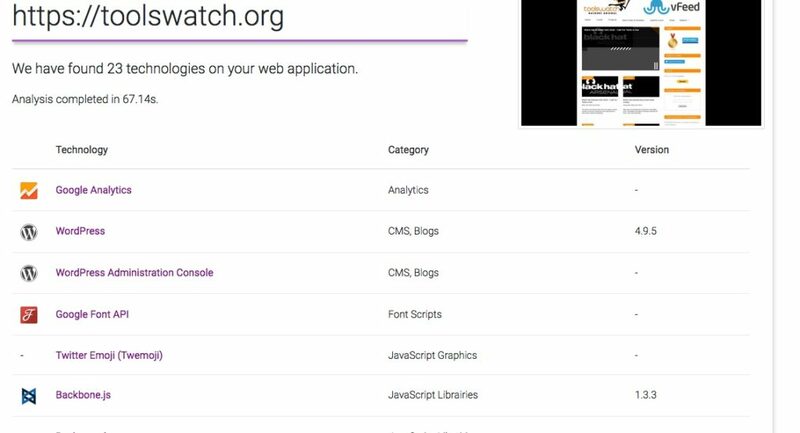 GET https://www.purplemet.com/api/analysis/[id] . Once finished, it displays the result using JSON.